I was at the Overland Park Arboretum this past Saturday. It's a beautiful place to visit and walk around with all the flowers and trees. There is a large pond there and some turtles were hanging out by the shore. People were feeding bread to the fish and one turtle seemed to be enjoying it as well. I think most of them were looking for other food. I was able to get a good shot of this guy that showed off his colors well. 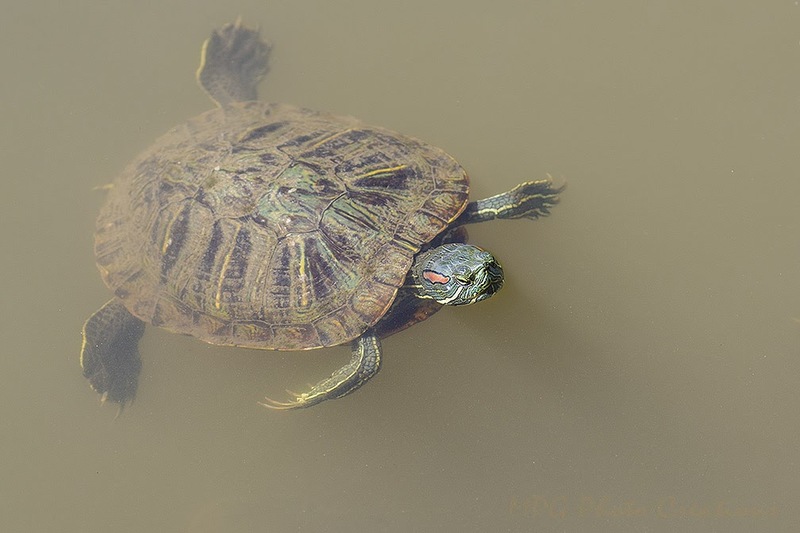 I believe this is a Western Painted Turtle.